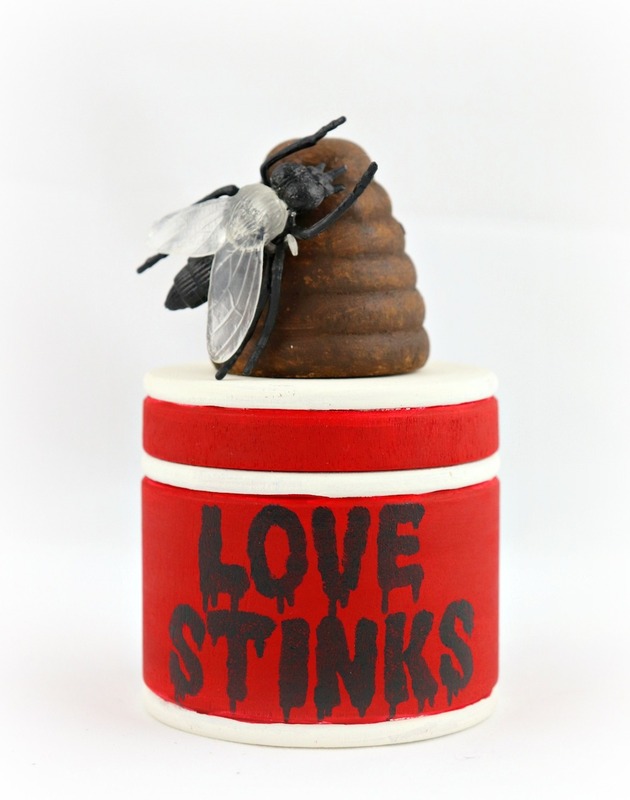 This “love stinks” valentine gag gift will make anyone laugh! I stumbled across a group on Facebook called “Return of the Thing from the Thrift Store”. 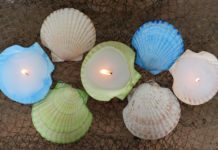 I absolutely love to create with items I find at Goodwill San Antonio, so this group was a perfect fit for me. 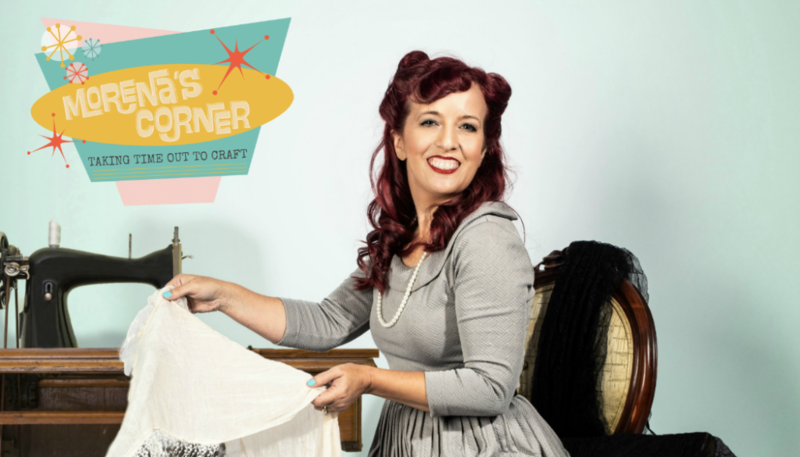 The group is hosting a fun Valentine’s Day challenge, with the “rules” that you must take something from the thrift store and turn it into a creepy or weird Valentine gift. This kind of stuff is right up my alley so of course, I jumped right in. I am a sucker for unfinished wood items, and I buy them anytime I find them at Goodwill. 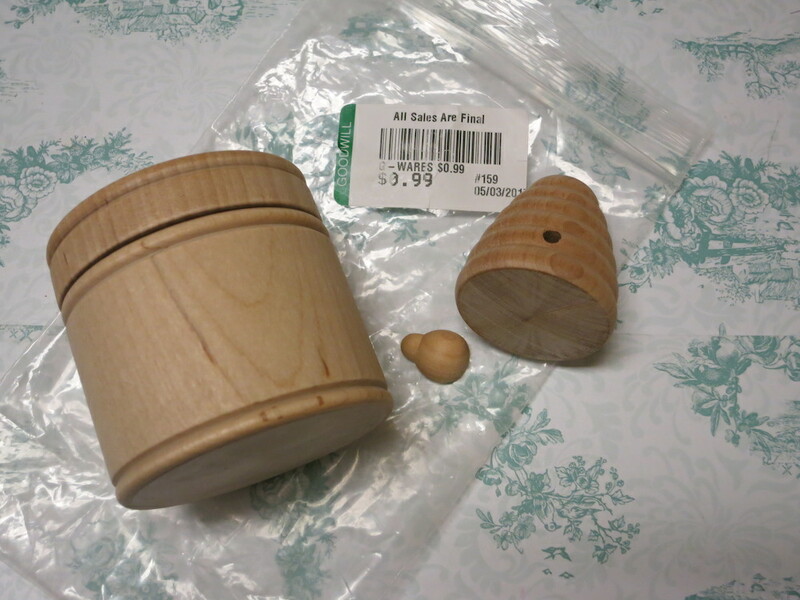 I had found this cute little set that had a container, a beehive, and a little ladybug. How could I pass this up for just 99 cents? 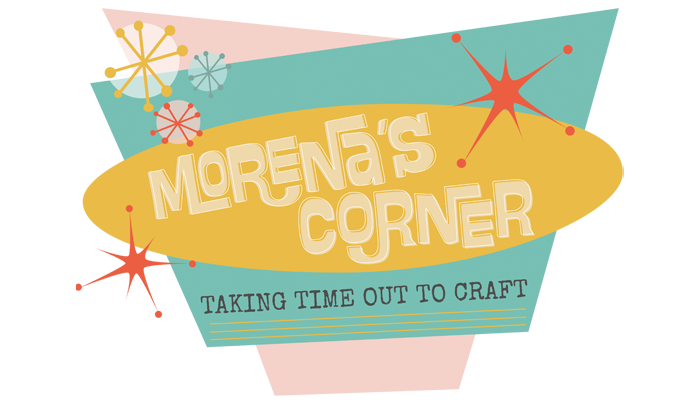 This piece has sat in my craft pile for almost a year until I figured out what to do with it. 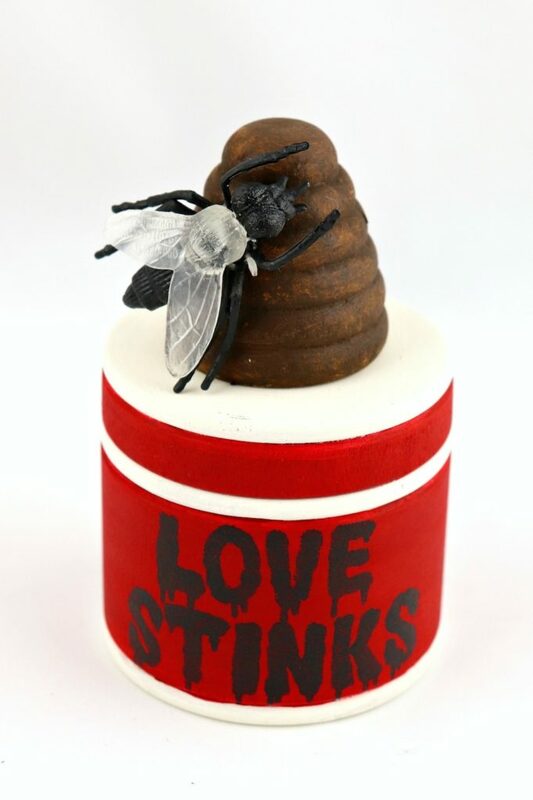 Turn the hive into poop. 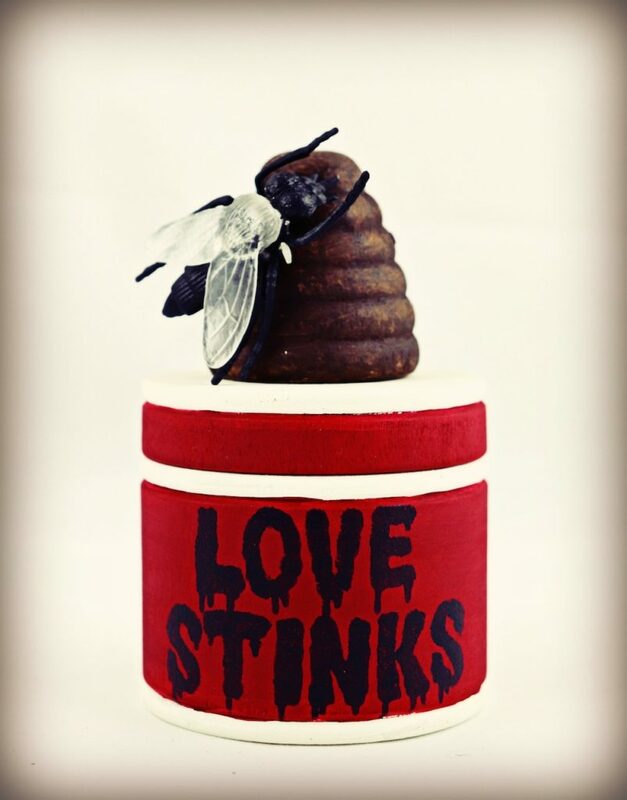 Love stinks, get it? hahahaha. Here’s how I made this Valentine gag gift. 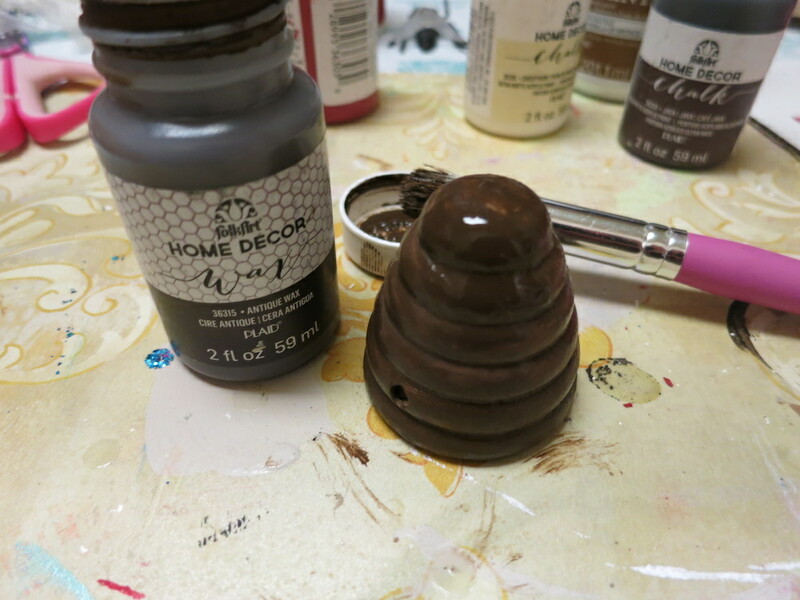 I painted the beehive brown and set it aside to dry. 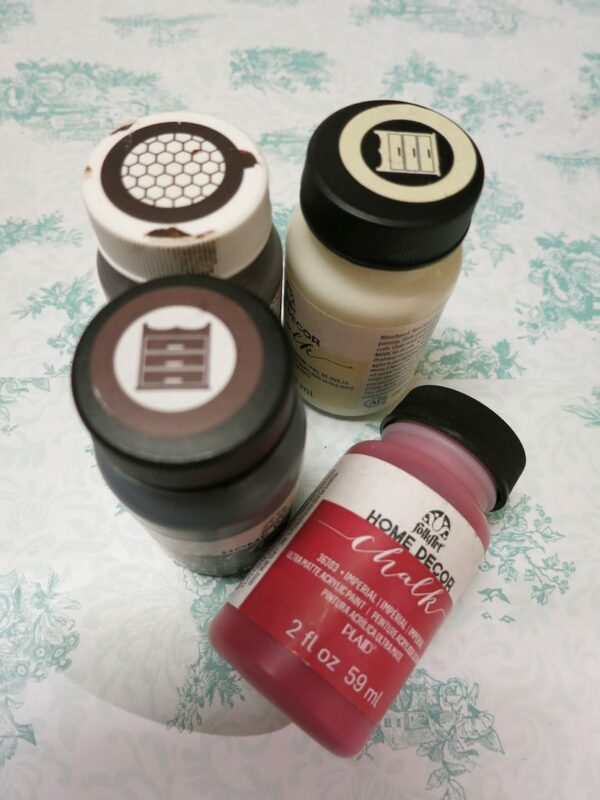 The container was first painted with the white milk paint. Then I used the red paint to fill in the wide “stripes”. 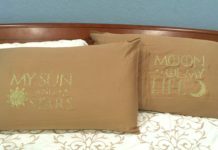 It took two applications of paint to get the desired finish. I painted the “poop” with the brown tinted wax. Immediately after painting the wax on I used a dry washcloth to sponge some of the wax off. This helps create a textured look. 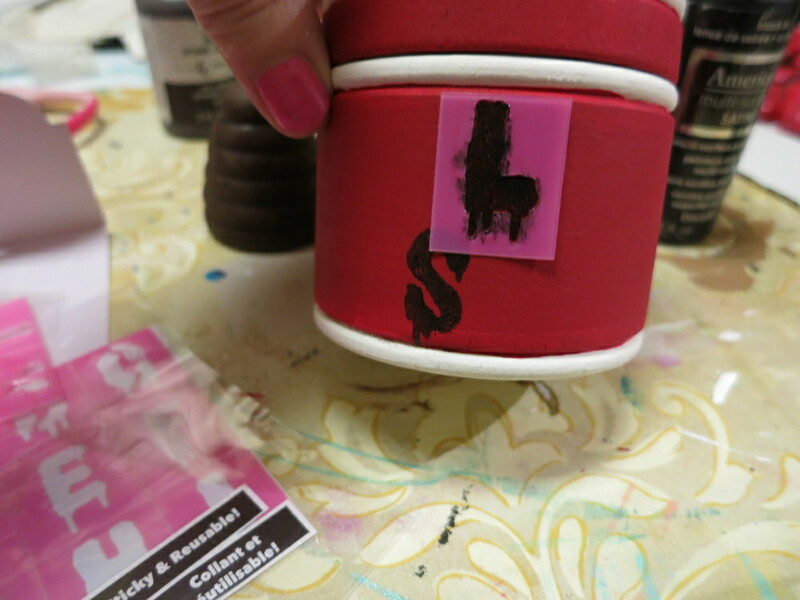 I used the alphabet stencils with black paint to spell “love stinks” on the container. I like how these stencils have a retro horror movie style font. 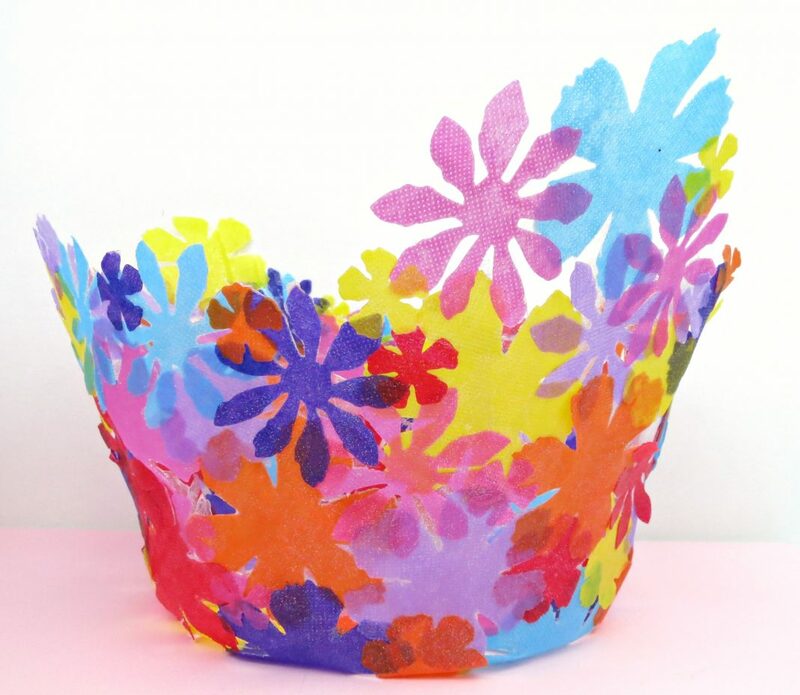 When everything is dry, glue the “poop” on top and glue the fly to the side of the “poop”. 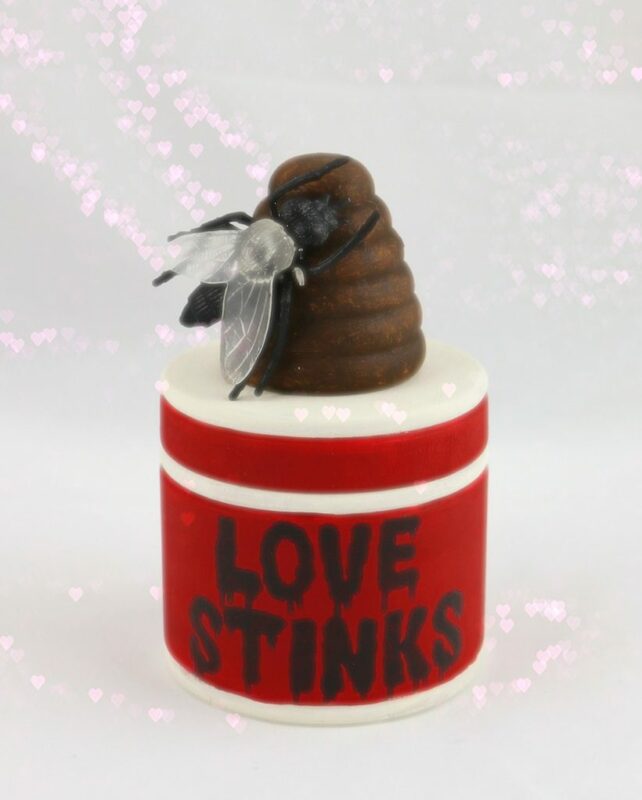 Fill this “love stinks” Valentine gag gift with candy or maybe some dark and smelly licorice candy. This is one Valentine no one will expect to receive, but it will make them laugh!